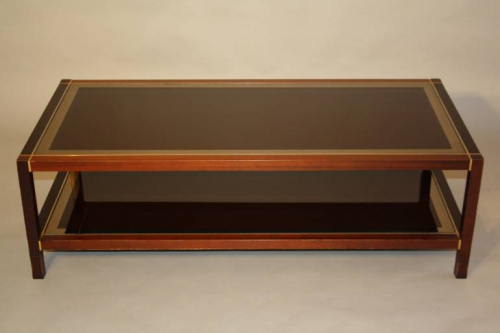 A lovely wooden two tier coffee table with brass metal detail. Each tier is smoked brown glass edged with a gold mirror banding. French c1970. Some slight ageing to the wood on the legs as expected but overall in good original condition.